• Thursday November 1, 7:30 pm: The Unity of Mindfulness, Powerful Intent and Bodhicitta.View, practices and contemplations whereby mindfulness when unified with Powerful Intent and Bodhicitta becomes a swift means to unfold great compassion and liberation. 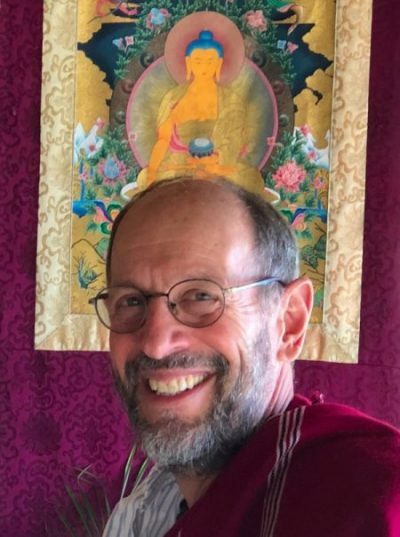 Lama Mark shares some reflections and instructions on the Buddha’s core thread of teachings. • Friday November 2, 7:30 pm: The Empowerment of Deathlessness and Longevity. “Subduing the Lord of Death Through Splendour”—Amitayus-Mandharava in the Drikung Yangzab tradition. Reading Transmission of the daily practice. • Saturday November 3, 7:30 pm: The Practice of Deathlessness and Longevity—Amitayus-Mandharava. • Sunday November 4, 9:30am & 4pm: Reading transmission, commentary and teachings on Je Gampopa’s (11th cent.) essence text: The Single Sufficient Path of Mahamudra “The Single Cut”. Elegant and direct instructions of the essence-ground of mind, the path we need to follow and the fruition; from one of Tibet’s greatest masters. Registration costs: $A suggested donation of $15 per day to cover the expenses of hosting the teachings in Toronto. This includes flight and other travel expenses.